Zentangle is a form of art that is often compared to Doodle because the drawings look somewhat similar. However, the main difference of the two is that Zentangle requires focus on every stroke, whereas a Doodle is made while the person’s mind is occupied. One could be doodling while talking to someone on the phone or while listening to the discussion in class. Zentangle lets you create various patterns repetitively. You may end up creating a certain form out of these patterns or it may result into a beautiful abstract art. While others use different colors of pen and paper, a true Zentangle art only uses a white paper and a black pen, with the patterns drawn inside a tile that is 3 ½ inch on all sides. There are Zentangle kits that are sold, which come with high quality papers and pen. However, you can still create your own art using an ordinary white paper and pen. As long as the paper is plain white without any patterns or prints, it’s possible to use it. 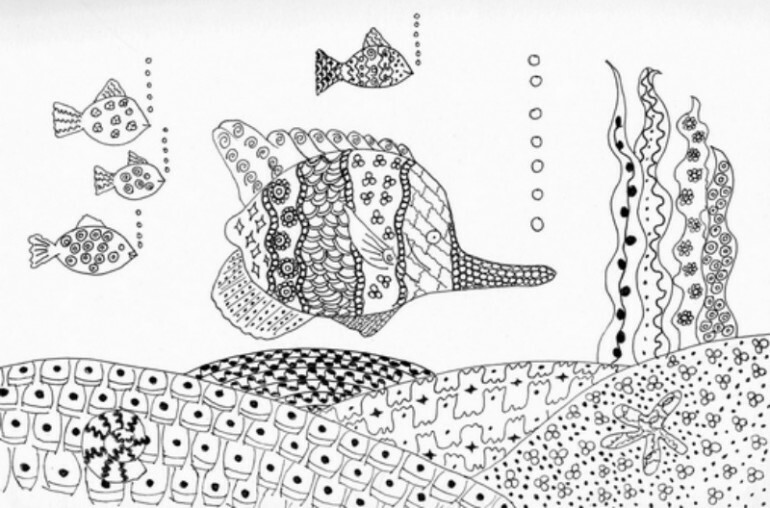 You don’t need to have a background in art to create a Zentangle drawing. Both children and adults can do this since there’s no specific set of rules to follow. While there are basic steps that you could learn in order for you to get started, you are free to explore and create whatever would come to your mind. Furthermore, the materials are not as expensive as other forms of art. As mentioned, a simple white paper and pen are all you need to start drawing. This is something that people from all walks of life can try. Since the process requires focus, you tend to forget other things, including your problems and anxieties as you get immersed in creating those patterns, thus helping you relax. In fact, the person who invented this art method experienced the feeling of well-being, freedom, timelessness and total focus as she drew patterns. This made her forget about all other things, including her worries. You can create a Zentangle art anytime, anywhere. Since the materials you need can be carried around conveniently, you may begin drawing if you find yourself feeling artistic or feeling the urge to create an art. If there’s a drawing that you weren’t able to finish, it’s portable so you can bring it with you and you can continue working on it when you feel like it. Unlike other forms of art that often require you to think of the finished product that you wish to achieve, you are encouraged not to think about what you want to see in the end. If you ever made a mistake on the pattern that you created, erasing is not part of Zentangle. Instead, you should find a way on how to incorporate it in the drawing or create new patterns from it. As they say, life is like art. This is clearly depicted in this characteristic of Zentangle art. Like life, people make mistakes, which cannot be erased. However, lessons are learned from those mistakes that allow you to make a beautiful outcome. The development of technology has brought several benefits to people including convenience. For instance, there are 3D architecture programs that make planning of the house easier. Photo and video editing tools also make it quicker to create fantastic designs. However, there’s still something beautiful in going back to the basic, which you may want to experience every now and then. 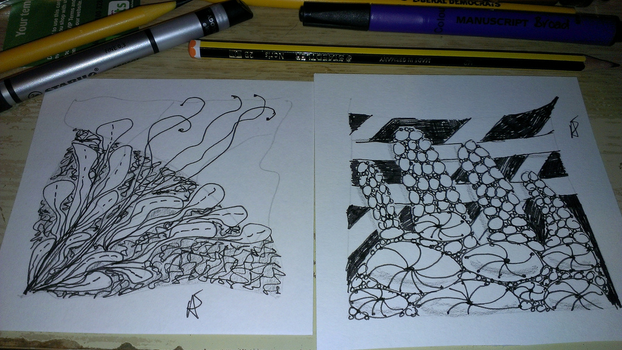 Zentangle does not require the use of new technology. It’s just you and your materials. As mentioned, you are encouraged not to think of the particular output that you would like to achieve. With this, you feel free to explore and create patterns as you are not focused on coming up with a specific result. Once you’re done, that’s the only time that you can fully see the result, which gives it an element of surprise. There are several patterns that you can find online, which you may browse to get more ideas on what you can use in case you are thinking of starting your very own Zentangle art.